At Maison Interactive we’ve discovered that the next evolution in marketing is all about interactivity, being able to create human connections that will translate into long term relationships. Working at the intersection of design, technology, and community, we craft environments and experiences that delight, surprise, and engage. and electrifying digital experiences that get people talking. We pride ourselves in providing our clients with innovative digital experiences and immersive environments that bring wonderment and help their brands stand out. We are available for projects in Nairobi, Kenya and all over Africa…we are not limited by boundaries or geographical distance. Projection Mapping is a relatively new technology that involves mapping projected content onto real world objects and in turn transforming them into an impressive media display. By mapping and working within the exact architectural contours of a building or space, our team can create projections that can animate entire facades. From a small scale stage set, to an 8-storey building facade, we create incredible spectacles that react to the environment in real time, and that seemingly push the realms of possibility. We create a unique and engaging attraction that will leave people in awe as they wonder how a seemingly ordinary object appears to come alive before their very eyes. Any kind of event can benefit from the addition of Projection Mapping, from product launches, to yearly meetings, to corporate award shows, to grand ballroom keynotes. 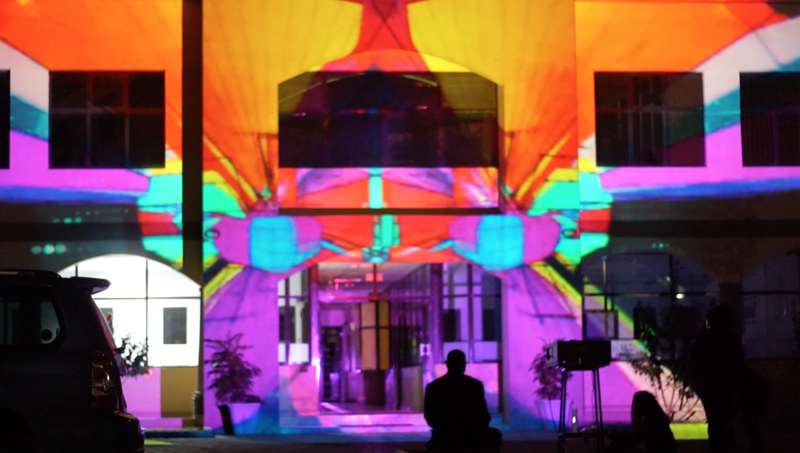 Best of all, our projection mapping isn’t outside of most event budgets. Our team works within your budget and manages to bring the incredible 3D effects to any size event, large or small. We use gesture and motion tracking software to create Interactive Installations that physically engage people in a fun and unique way, designed to draw attention to your brand and engage your customers. Our Interactive Software makes any surface come alive! We can convert any space into a motion reactive surface that creates an unforgettable fun-filled experience. Any solid surface that can be projected on can be transformed into an interactive display. We create interactive experiences that are playful, personal, and memorable. Our Interactive Installations provide a unique combination of personal movement with digital marketing. They not only react in real time, but also in a unique way send powerful messages by way of advertising, brand re-enforcement and establishing corporate identity. We live in a digital world of experience, where people are accustomed to being active participants. When interactive marketing is truly integrated with an experience or event, the power to affect these users can be enormous. Available for projects in Nairobi, All of Kenya and All over Africa.